Matt Ziobrowki is our Basketball Director. 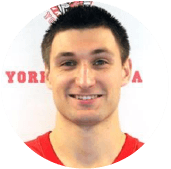 Matt is a former player at York University, and is a lifelong competitive player. Matt has coached basketball and lead numerous programs since 2009. He was the Basketball Camp Director for City of Vaughan, and has been with JCC Chai Sports since 2009. He leads our house leagues, development programs, JCC Maccabi teams, Rep program and Centre Court Basketball Camp. He is a certified Ontario Basketball Association coach with the National Coaching Certification Program of Canada. He has an Ontario Federation of School Athletic Association certification as well as Tribes Learning Community Certification. 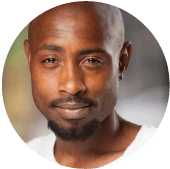 He has graduated from the University of Toronto in Education, holds a degree in Kinesiology and Health Sciences from York University and is currently an elementary school teacher. Cassie is a senior technical convener and advisor in various programs in JCC Chai Sports, including hockey, soccer and t-ball. Cassie played hockey for Lakehead University in 2008, and played competitive Ringette and Hockey most of her life. Cassie worked for the Town of Richmond Hill as the skating program supervisor for 6 years and has been coaching for over 5 years and has coached and trained rep hockey teams and provincial level ringette teams. 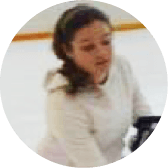 Cassie is also a Level II certified Hockey Canada Coach, trainer, and Referee. She is currently working towards completing a Master’s degree in Therapeutic Recreation. Stephen Sweet is also a Senior Technical Adviser and Leader of our hockey, t-ball and flag football programs. Stephen played rep hockey for many years and has also coached, refereed and instructed hockey at a competitive level. He has been with the JCC since 2014 and has been running children’s programs for 15 years. Stephen is a Level 2 certified referee with Hockey Canada as well as a certified umpire through Baseball Ontario. 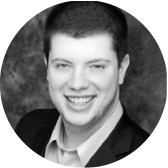 He has an Honours Bachelor of Commerce from the University of Guelph as well as a post-graduate Diploma in Sports Journalism from Centennial College. Justin is originally from New York and came to Canada at a young age. He is a lifelong basketball player, quickly gaining knowledge of all aspects of the game. In 2015, Justin received his coaching certification and has since coached both Rep and Recreational teams at various age groups. He started with our JCC Basketball program in 2014.